Yesterday I got to spend the day lure casting in one of the local creeks with forum regular and G&T Fishing School proprietor 'Knighty'. We launched the boat about 10am and raced to our spot at over 30knots in Grahams beautiful Glass flats boat 'Cruse Control'. After about an hours run we reached to top of a fantastic looking creek, right in time for the change of tide. We then spent the rest of the day casting Flat Rats tight among the timber as the tide slowly receded. Grahams brand new 80lb Minn Kota did a great job of holding us close to structure, and when a likely looking spot is reached a quick push of the 'anchor' button sees the electric automatically hold us in position despite all the efforts of wind and tide trying to push us on. 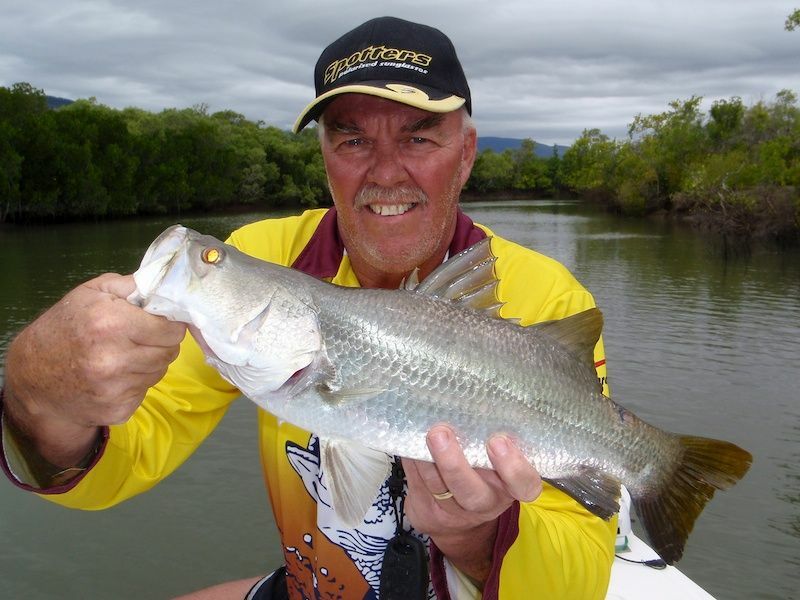 Knighty was the first to see some action, with several Barramundi 'rolling' on his lure before I had even spotted a fish. 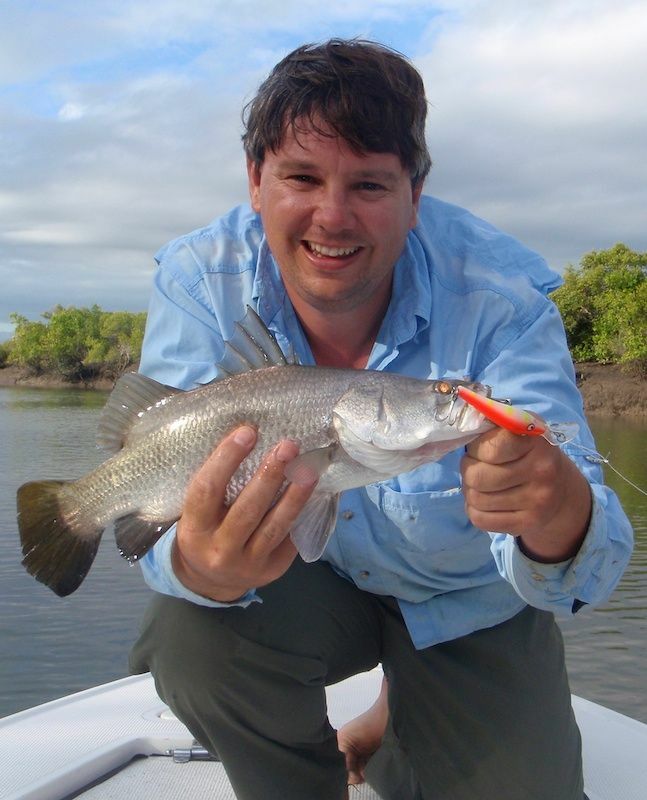 He was the fist to hook up too, a good Barra smacking his lure tight amongst the timber. But it was a short fight with the fish burying him almost immediately. 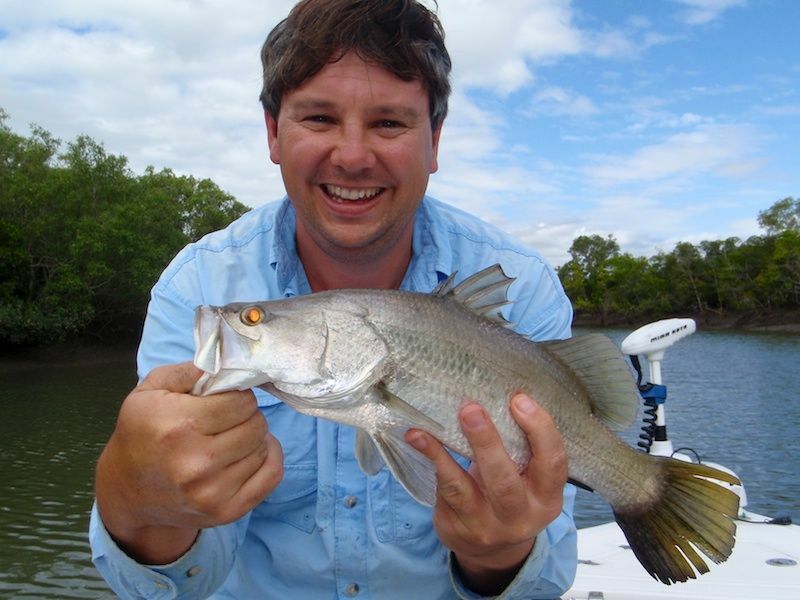 Oh, and Knighty was also the first to get a fish in the boat too....a small Mangrove Jack. 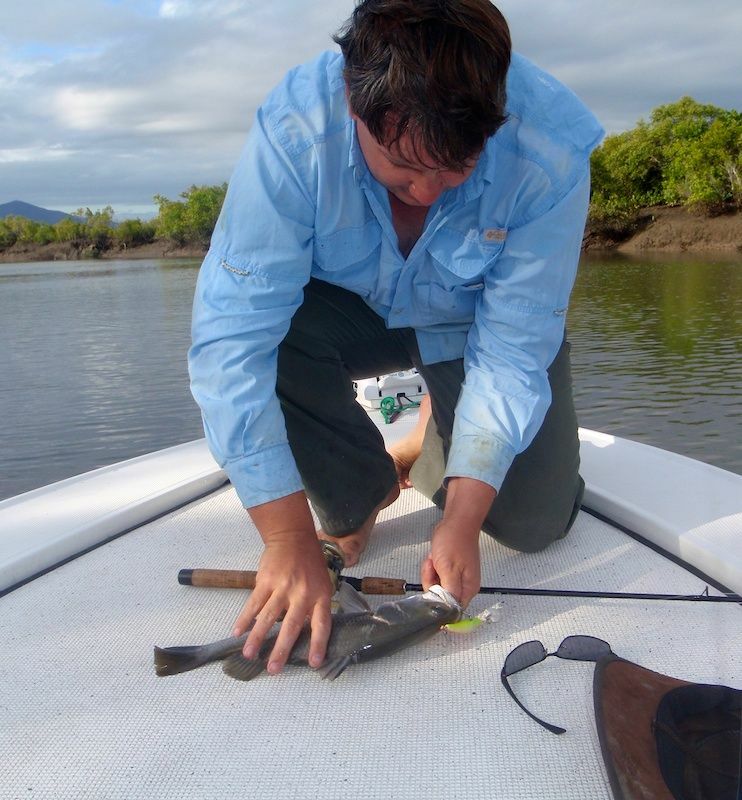 Despite the large number of casts in-between hits, it was enough to tell us the fish were there, we just had to work out how to get them biting. Graham was off to a good start, but I soon got the monkey of my back. Only a small Jack, but I was now on the board and didn't look so silly! 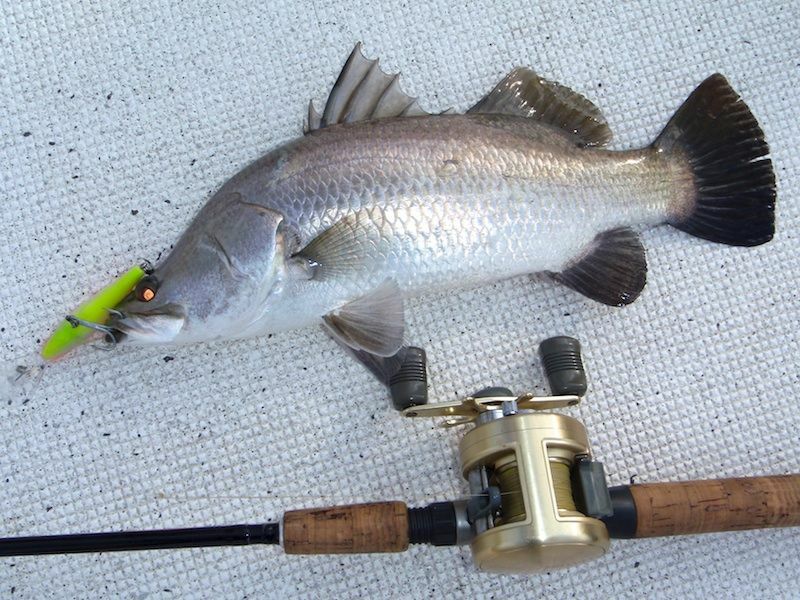 I soon had my first roll from a Barra too, and then one that stayed connected. Oh, yeah.....Barra on. Again it was only a small fish, but lots of fun on a particularly difficult morning. 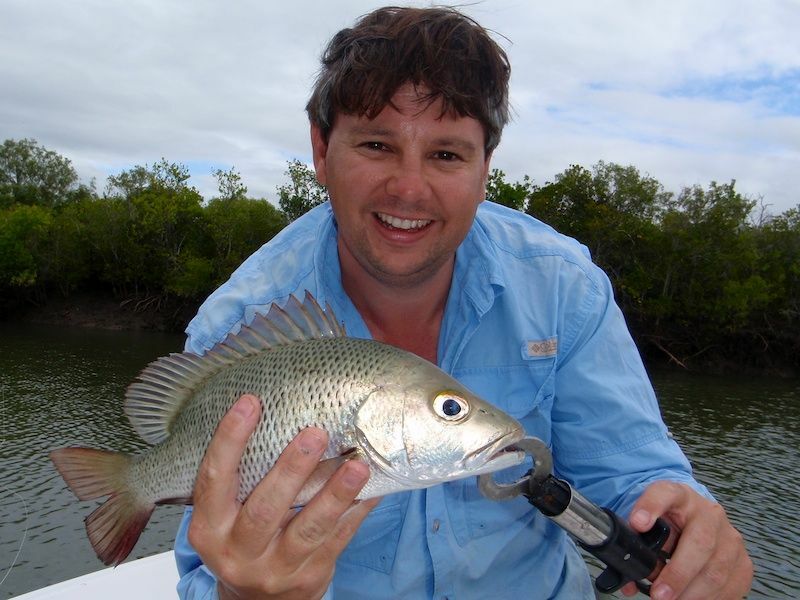 By the time we finished our session at the bottom of the tide late in the afternoon we had landed 6 rat barra and several Jack. I will add that the score ended up pretty even with 3 Barra and a couple of Jack each! 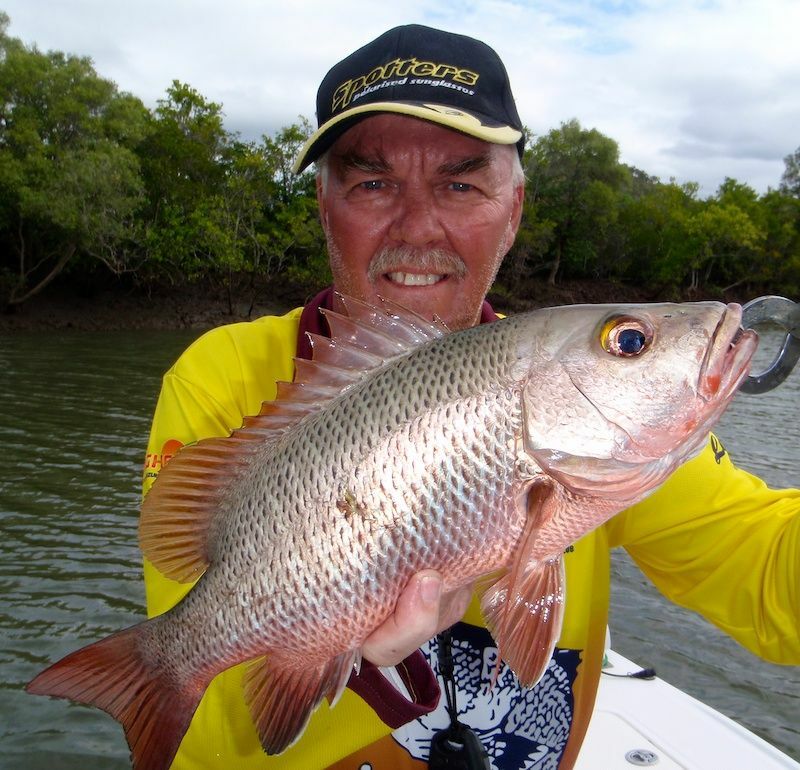 But the fish of the day was Grahams 36cm Mangrove Jack.